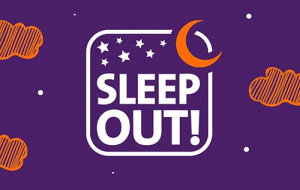 Local charities Homeless Oxfordshire and Aspire have launched their Sleep Out! 2019 event, which will take place on Saturday 16 March at Linacre College, Oxford. This is Oxford’s only mass-participation sleepout event and sponsorship raised will go directly towards helping both charities to tackle the growing homeless crisis across Oxfordshire. By signing up you’ll be one of many amazing people bedding down outside to make a real, lasting difference to local people’s lives. Across Oxfordshire hundreds of people are homeless right now, and more are at risk of falling into homelessness. Oxford ranks 6th in the country for the highest numbers of rough sleepers and over 100 households approach Oxford City Council each month to register as homeless. 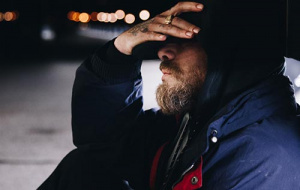 Homeless Oxfordshire and Aspire work with hundreds of vulnerable adults across the county each year, supporting them to leave homelessness behind. Sleep Out! 2019 is a unique opportunity to make a difference to the lives of local people affected by homelessness. Everyone taking part will spend the night sleeping outside with only a roll mat, pillow and sleeping bag. The evening will be jam-packed with entertainment, hot drinks and food and sleepers will hear first-hand, lived experiences of overcoming homelessness from people that the charities have supported. This event may be a long way from the reality of sleeping on the streets, but taking part in Sleep Out! 2019 is an unforgettable way you can help someone to change their life. Fran was supported by Homeless Oxfordshire through the homeless pathway, was able to find independent housing and joined Aspire as a trainee in January 2017. She spent 10 months taking part in work experience at Aspire; during this time Fran was given specialist support to break down multiple barriers to employment and to improve her mental wellbeing and resilience. As Fran’s confidence, skills and experience continued to grow she felt able to move into paid employment at the Westgate Centre. She then saw that Aspire was recruiting for a new team of outreach support workers to help prevent homelessness across Oxfordshire, as part of the new Trailblazer project. Fran was determined to join the Trailblazer team and was over the moon when she was given the job! After her divorce, Penny’s mental health deteriorated. She had to dramatically reduce her working hours and could no longer afford her increased rent. Penny had no choice but to start sleeping on the streets. She slept outside Oxford train station for three weeks. “I didn’t know this place (Homeless Oxfordshire’s O’Hanlon House hostel) existed until I was told about it, so if I was trying to make it on my own I don’t think I would have survived long on the streets” Penny stayed at O’Hanlon for five months where she was given the support she needed to stabilise her mental health and rebuild her resilience and confidence to move onto independent living. Please help to spread the word about Sleep Out! 2019 by sharing on social media and telling friends and family to get involved.